In this photo taken on April 1, 2005, Vatican spokesman Joaquin Navarro Valls delivers a statement on Pope John Paul II's condition at the Vatican. 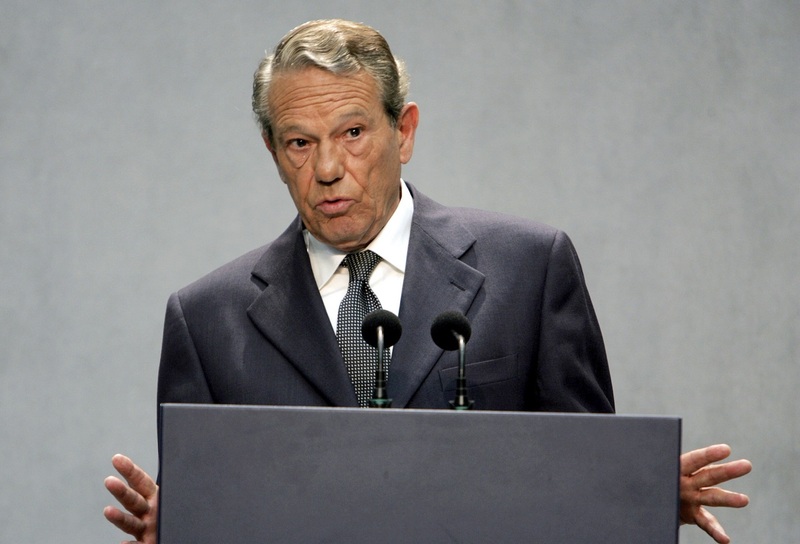 Joaquin Navarro-Valls, a suave, silver-haired Spaniard who was a close confidant of Pope John Paul II, serving for more than two decades as chief Vatican spokesman, has died at the age of 80. Navarro-Valls was fiercely loyal to John Paul, accompanying the Polish pope on most of his 104 international trips. He also performed delicate diplomatic missions, such as helping to prepare the pope's historic pilgrimage to Cuba. Known for his coolness and restraint, Navarro-Valls nearly broke into tears when John Paul was dying in April 2005. He choked up and walked out of a conference room when a German reporter at a briefing on the pope's condition asked him how he personally felt. "I was trying to keep my emotions in check, but then a reporter asked how I was experiencing the passing of the pope personally, and I couldn't control myself," he explained later. He was a lay member of the conservative Catholic movement Opus Dei, an order much favored by the pope, but Navarro-Valls always insisted the fact he was president of Rome's Foreign Press Association at the time weighed heavily in his hiring at the Vatican. Navarro-Valls was credited with bringing computer technology to the press office, promoting the use of multiple languages in the Italian-centric press operation and giving journalists better access - making him the perfect press aide for a pope known for his media savvy. Some saw the combination as perfect for his job as papal "spin doctor." Navarro-Valls said he told Castro that the pope had one particular request - that the regime restore the Christmas holiday that was abolished under communism. Castro kept his word to do so, and the holiday is still celebrated today. Burke's assistant is the first woman to hold a ranking position in the press office. Paloma Garcia Ovejero worked as a Spanish TV journalist before accepting the Vatican post. Burke said that Navarro-Valls "embodied what Ernest Hemingway defined as courage: grace under pressure.". "I got to know Navarro when I was working for Time, and the magazine named John Paul II Man of the Year," Burke recalled in a note. "I expected to find a man of faith, but I found a man of faith who was also a first-class professional." He recalled Navarro-Valls working at the U.N. Population Conference in Cairo in 1994, calling it "one of the best examples of what Pope Francis calls ideological colonization. It was fascinating to see someone who was defending the faith, but he wasn't on the defensive. He was leading the fight." Burke continued, "I didn't always agree with Navarro, but he always behaved like a Christian gentlemen, and those can be hard to find these days." He found himself under fire from some in the Vatican when he became the first official to publicly hint that John Paul was suffering from Parkinson's disease. The pope's condition clearly was evident, but not something many wanted to disclose. 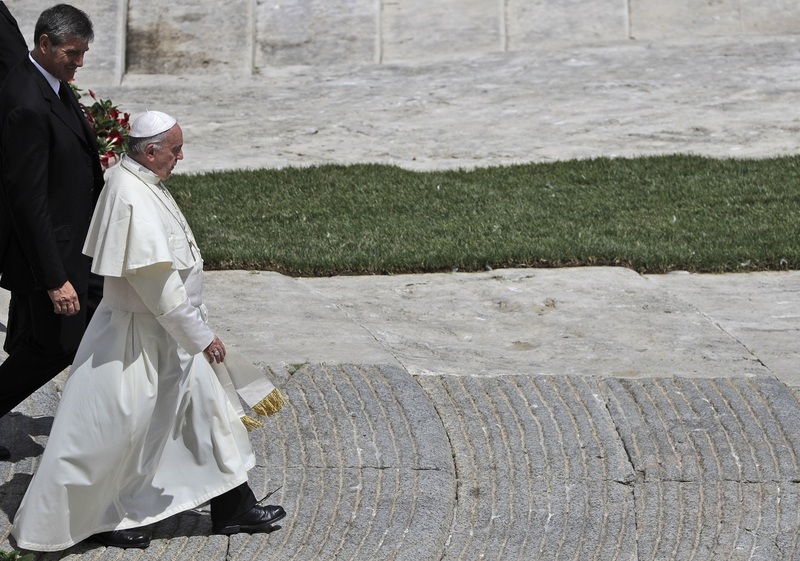 During a 1996 trip to Hungary, at a time when John Paul looked extremely frail, Navarro-Valls said the pope suffered from an "extra pyramidal syndrome." His comments referring to drug-induced side effects nearly cost the Spaniard his job. "I am conscious of having received in these years so much more than I have been able to give," he said upon resigning in July 2006.